Jean Hélion, the French painter who died at eighty-three in 1987, brought together in his copious and essential writing on art the theoretical authority of the intellectual and the fundamental insights of the craftsman in his studio. His writing extended throughout the five decades or more of his career. Soon after the young painter’s arrival in Paris from the provinces, he began a literary-art magazine; he wrote polemical articles as a leading avant-garde abstractionist; he wrote about the great tradition of figure painting while still painting abstractions; and he wrote journals, notes on studio practice, pieces about the role of the artist in society, and much more. His prolificacy is made more extraordinary because he wrote in two languageshaving lived in the United States for some years, he wrote many of his articles in English for an American and British audience. This volume collects, for the first time, the diverse writings by Hélion that appeared in print originally in English, including The Abstract Artist in Society,” Poussin, Seurat, and Double Rhythm,” Objects for a Painter,” and many more. 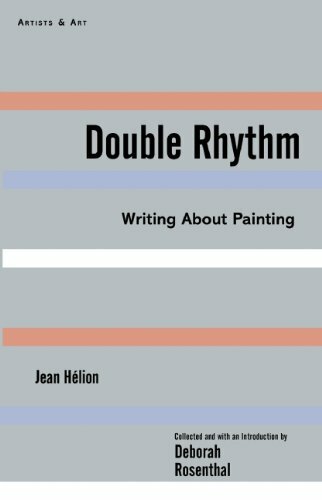 Double Rhythm is sure to become essential reading for art historians and painters. If you have any questions about this product by Arcade Publishing, contact us by completing and submitting the form below. If you are looking for a specif part number, please include it with your message.